The 5 steps to mortgage loan approval aren't complicated, but you may have to think ahead to make sure you have everything in order so you can get your loan approved without delay. Chances are good that if you have been thinking about buying a home you may have already started working on some (or all) of these five steps. Mortgage lenders look at the same things other lenders look at when a potential borrower submits an application for credit, but home loans have additional requirements that lenders review prior to approving a mortgage loan application. It is never too early to get started with these five steps because almost all of them will help you improve your credit overall. Order a copy of your credit report and review it to make sure there are no errors listed. You should also take a close look at the accounts you currently have. Are all your payments on time? Are you teetering dangerously close to meeting the maximum available credit? Mortgage lenders are usually reluctant to approve mortgage loans for applicants who are behind on their debt payments or who have maxed out their revolving account. Get any errors removed from your account and start getting your credit in order. This may take some time, but it will certainly result in a higher likelihood of getting approved for your mortgage loan and may even result in a lower interest rate for the loan you are approved for. Different types of home loans have different down payment requirements, but no matter what type of home loan you want to obtain you will need to have some money set aside for a down payment and closing costs. Most lenders also want to see a cushion of savings that will remain after the loan is complete because it is never a good idea to buy a home and have no money in a deposit account at all. The higher your down payment, the more of an initial investment you are making when getting the mortgage. The more invested in the home you are, the more likely the lender will approve you for the loan, and oftentimes with a better loan product. Mortgage lenders do not like to lend money to borrowers who are already overwhelmed with debt. Start taking steps now to pay down some of your debt obligations. Pay down your credit card balances and try to pay off any installment loans you have in place, such as personal loans or auto loans. If you plan on applying for a mortgage loan in the near future, do not close any accounts you pay off until after you close the mortgage loan. A mass closure of accounts can negatively affect your credit score in the short term, which may make you ineligible for the best mortgage interest rates. 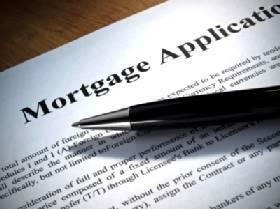 Mortgage lenders generally look for two years of consistent employment before approving a loan application. Although this varies from one lender to another, demonstrating the ability to stay employed is quite important. The year that you want to apply for a mortgage loan is not the time to quit your job and open up your own business. Save this career change until after you already own your home. Different mortgage lenders offer different loan products. If you know that you have less than perfect credit, do some research and find out which lenders will be willing to approve mortgage applications for people with your credit score. Research your options before you are actually ready to apply. You will save time and may be able to find a lower interest rate by investing some time into finding an appropriate lender for your credit situation. The sooner you get started with the 5 steps to mortgage loan approval, the better your chances will be of getting approved for a loan with good terms and a low interest rate.